This is a PAIR of RacingBrake 2-piece rotors for all RX-8s with "Sport" suspension/6MT. 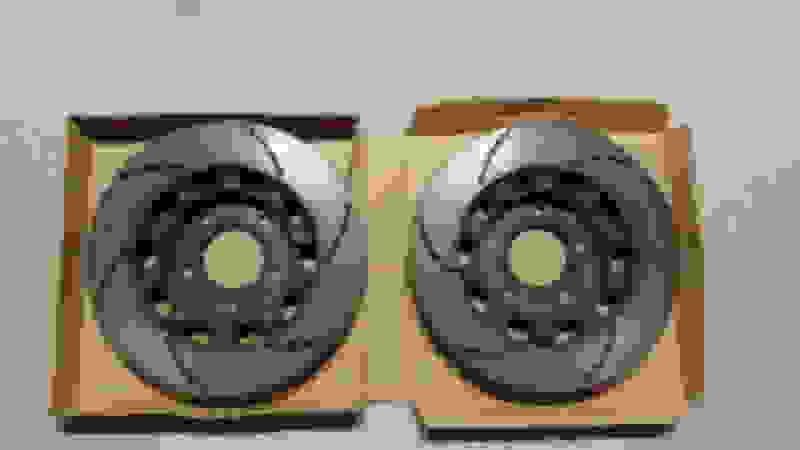 Each rotor is 4.4 lbs lighter than stock. These rotors get rave reviews from people who use them at the track with race pads. Product link HERE. 24.7k street miles on them with ZERO track/auto-x/etc. All but ~500 of those miles were with super-mild street pads (OE, Porterfield R4-S). Never turned/resurfaced. 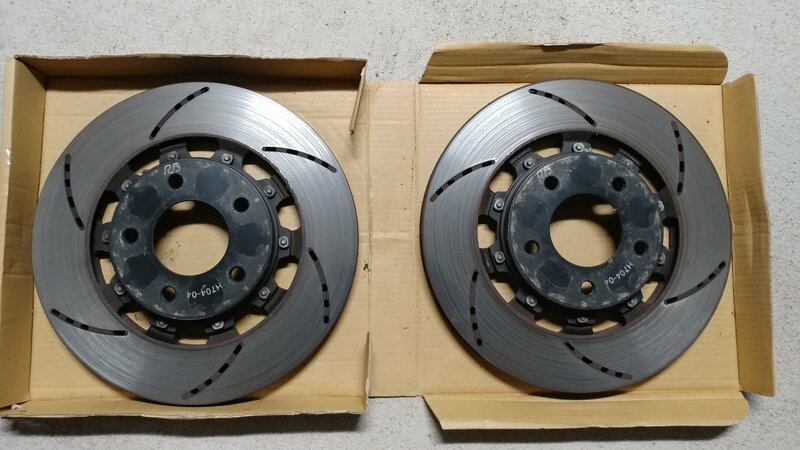 No wear measurements, but people who use these rotors at the track with highly abrasive race pads say they last a VERY long time; if that's any indication, the wear I put on them with mild pads and 100% street use should be minimal. In short, there's a good amount of life left on them. Only reason I'm selling is that they apparently don't play well with the kinds of pads I want to run (bad NVH that AFAICT seems to be due to uneven pad deposits -- goes away when they're cleaned, then comes back gradually). Been back and forth with RB support on this for a long time now, with no resolution. If the reviews and RB's advice are worth anything, you should have better luck with a more abrasive pad (e.g. Hawk, RacingBrake's own, or most race pads other than Carbotech). $300 cash for local pickup in/around Philadelphia, PA or Princeton, NJ. Will consider shipping at buyer's expense. Last edited by IamFodi; 03-28-2018 at 05:07 AM. Reason: Sold!